Greetings everybody! My blog post about cooling (Frozen CPU) has been my most popular blog post, even though I myself feel that it wasn’t the most well-written. This has proven, holywowzers, just how much you guys all care about CPU cooling and liquid cooling loops! Thus, I’ve decided to dig a bit deeper into this matter. However, before I can get to all that fancy liquid stuff, I’d like to discuss the most basic part of any cooling system, the fans, first. 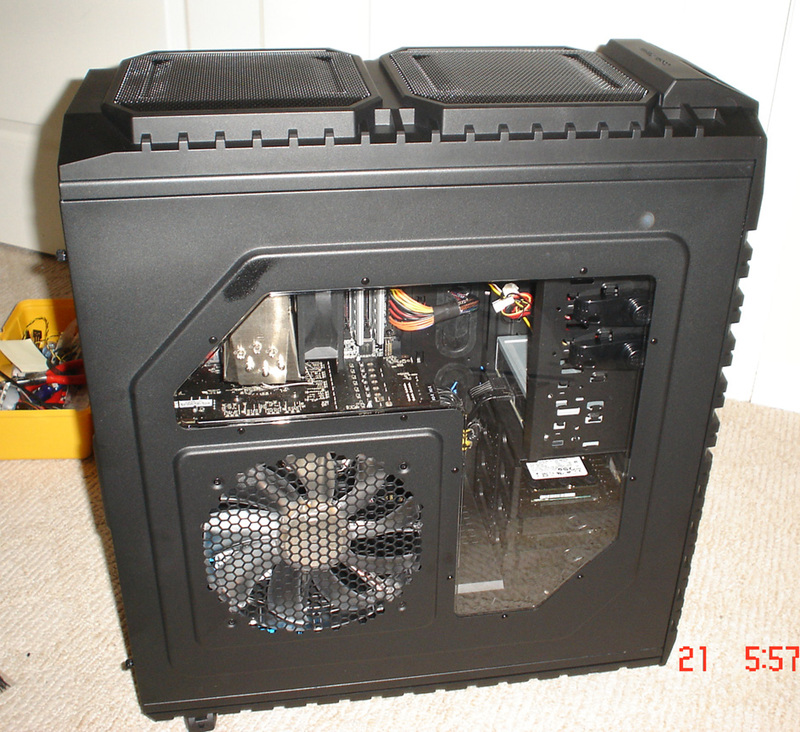 A computer fan is mostly meant to be mounted on the case, providing airflow for the entire system. 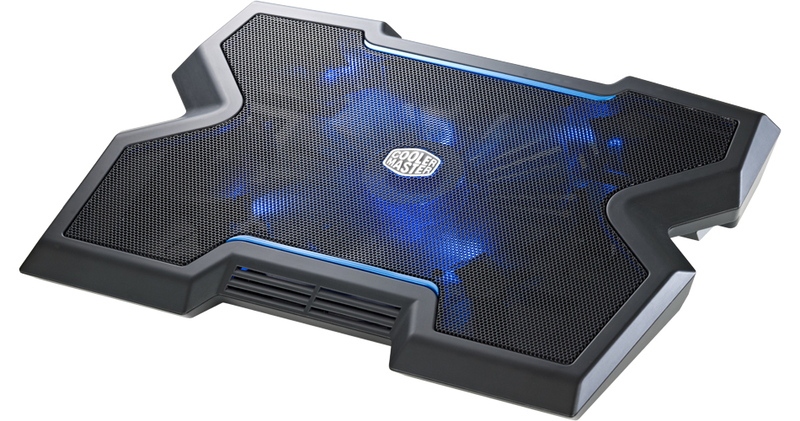 However, the case’s fan slots are not the only place where a fan can go to. 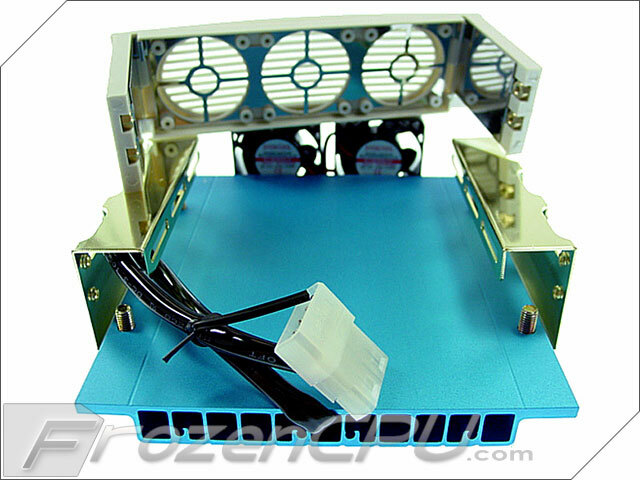 Fans can also be mounted on radiators (in liquid cooling loops) or heatsinks (in air CPU coolers or graphics card coolers), on PSUs, or even on RAM coolers and HDD coolers if you wanna get extreme. The two tiny 40mm fans on the Ultimate Hard Drive Cooler (image courtesy FrozenCPU). Told ya, some guys are just cray-cray. 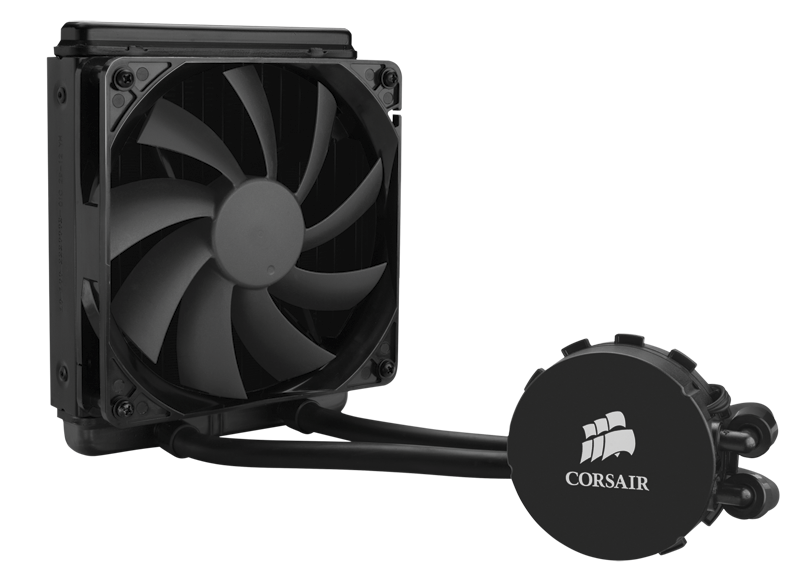 Airflow Fans: These fans spread air evenly in every direction, and thus will be more suited for general case cooling. Static Pressure Fans: In contrast, these fans focus air in one direction, and thus will be more suited for radiators or heatsinks, or for fan slots that are meant to cool only one component (for example, the slot right in front of your hard drive bay, if you want to focus air into this part). 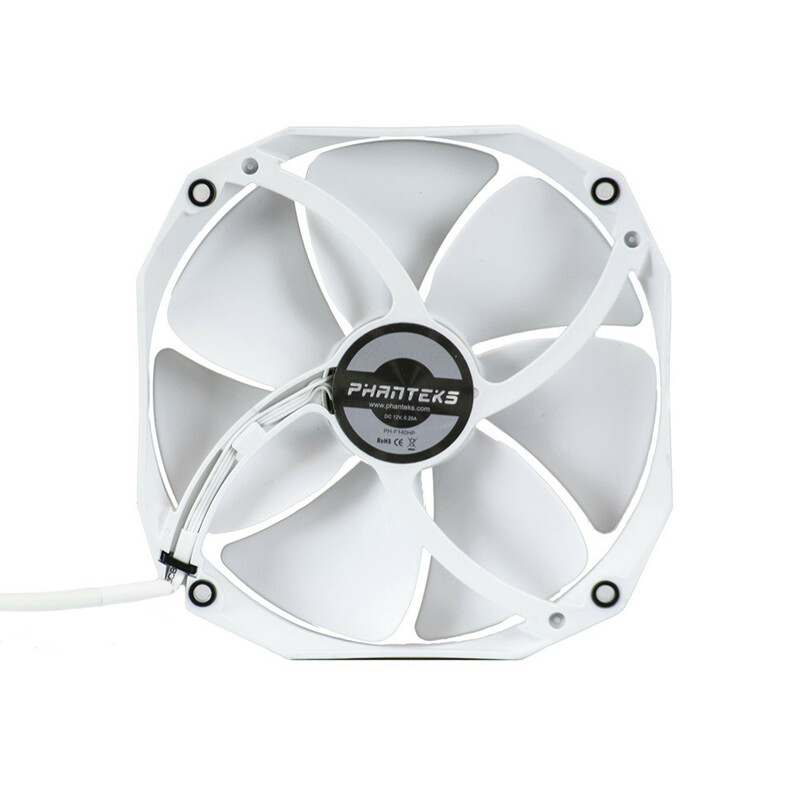 120mm fans are the “regular-sized” fans, which can be mounted everywhere, including most case slots, most PSUs, most if not all radiators, and most heatsinks. 140mm fans are the second most common kind of fans. They are also supported by many case slots, radiators and heatsinks, but they normally won’t be used in PSUs. Besides, 140mm radiators and heatsinks normally won’t support 120mm fans. Most laptop coolpads use 200mm fans too, by the way. This here is the CoolerMaster Notepal X3. Smaller fans (in particular 80mm, 90mm, and 100mm fans) are commonly used in graphics cards and small PSUs (especially the mini-ITX or TFX kind), as well as RAM coolers and HDD coolers. Needless to say, there are also some… exceptions when it comes to case fans, such as the 230mm BitFenix Spectre Pro fans, but I won’t dig too deep into them here. Rotation Rate: A computer fan’s rotation rate is measured in RPM (or revolutions per minute (can also be understood simply as “rounds per minute”). Typically, a good 120mm fan should have a maximum rotation rate of about 2000 RPM, while some “industrial” models (like the Noctua-F12 IndustrialPPC-3000) can have speeds of up to 3000 RPM. As a general rule of thumb, the bigger a fan gets, the slower it’ll go (though most 140mm fans can have speeds comparable to 120mm fans). Since a fan’s rotation rate at a particular point in time will affect its two other stats below, those two statistics are normally measured at a particular rotation rate in reviews and comparisons. Airflow: The amount of air transported by the fan, measured in CFM (cubic feet per minute), which is pretty self-explanatory. A good 120mm fan should have an airflow rating of over 70 CFM at its maximum speed. The Scythe/Nidec-Servo GentleTyphoon High RPM Edition, an out-an-out crazy psycho of a fan, that can transport an unmatched (LITERALLY unmatched) 150 CFM at the mind-blowing speed of 3000 RPM (producing some… cyclonic noises in the process). Too bad this thing has been discontinued, with the Ultra Kaze acting as its spiritual successor. The thing can also run at 3000 rpm, but doesn’t give as much airflow. Noise Level: While it won’t affect your computer’s cooling performance, a fan’s noise level is also an important factor for builders and enthusiasts. 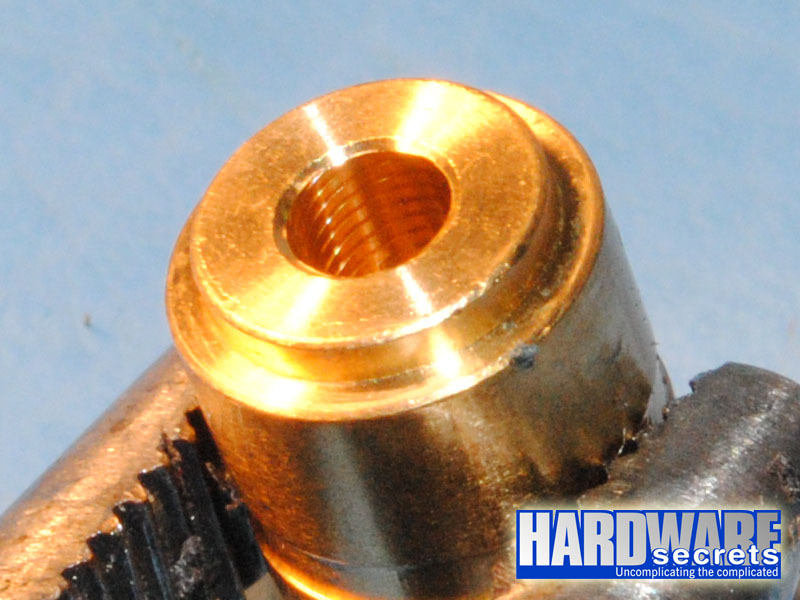 Typically, a good 120mm fan should have a noise level of below 40 dBA (decibels) at 2000 RPM. 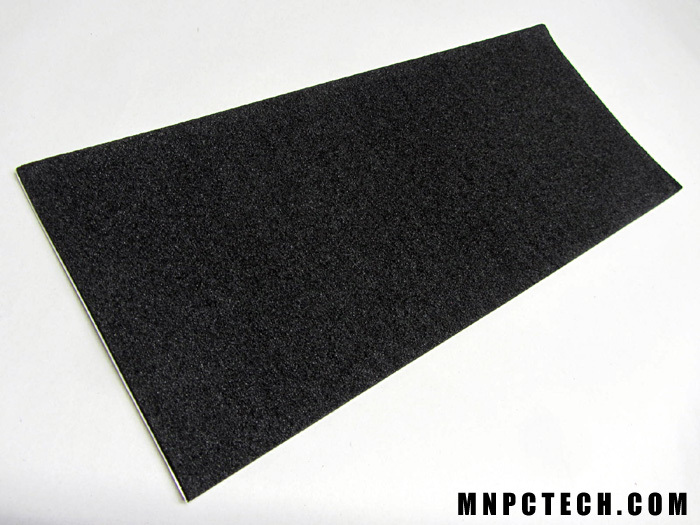 Some places also sell discrete accessories that can help reduce your computer’s overall noise levels, such as dampening sheets or specialized fan corners. 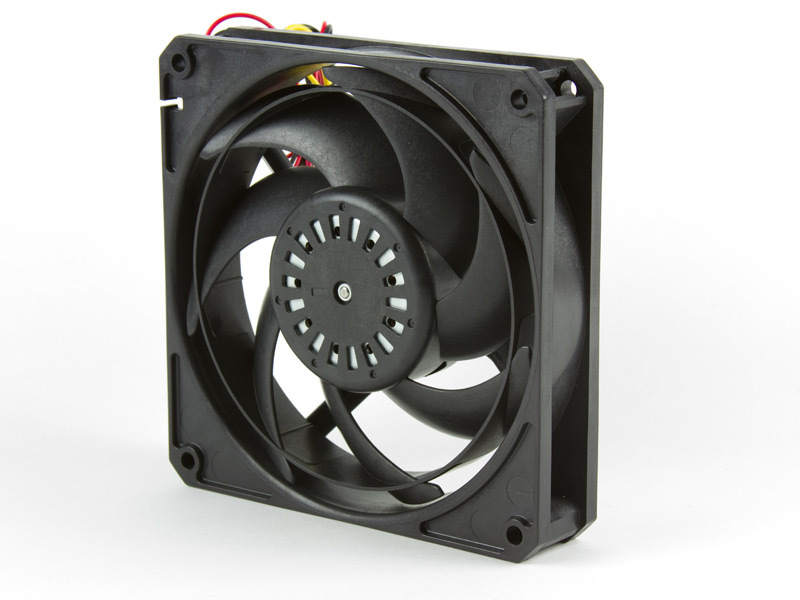 Fan Frame (stator): The fan frame, also more professionally called the stator, is the, well, frame of the fan, that helps keep the whole thing together and make it mountable on the case or cooler (using screw holes). Ideally, higher-end fans should also have rubberized corners on their frame to help reduce noise and increase lifespan. The Noctua A14-FLX, known for its square frame that is heavily rubberized and can reduce acoustics very effectively. Fan Blades: Pretty self-explanatory, to be honest… ._. Phanteks and Noctua are widely known for their well-engineered fan blades, and these petals-shaped blades on the Phanteks PH-F140HP II is my favorite (image courtesy Phanteks). As you can see, this is the featured image for this post, so you can get an idea just how much I love this fan. Rotor: You should also have been pretty familiar with this part. It’s where the magnets are held and it’s the part that makes your fan spin. Technically, the rotor also includes the fan blades, but if we exclude that, then the center of the rotor would hold some electrostatic magnets (commonly 4), while its rim (connected to the fan blades) would hold the regular magnets. However, since most if not all computer fans are brushless, the magnets are the parts that will spin and the electrostatic magnets will stay… eh… static. The part at the very center, where the fan blades assembly are connected to, and the thing that keeps everything spinning, is the bearing, which deserves special attention since they can be so different. Fluid Dynamic Bearing: These bearings are basically sleeve bearings, but they don’t touch the shaft directly, thus allowing the lubricant to move more freely and increasing its lifespan while also dampening the noise. The bearing type I want to discuss here is the Matsushita design, which have herringbone-shaped inner grooves, but there have also been alternatives that are also called “fluid dynamic bearings”, some as simple as having a couple of slits on the exterior of the tube. The Matsushita bearing, image courtesy HardwareSecrets. Rifle Bearing: Rifle bearings are pretty similar to fluid dynamic bearings in principle, but uses a different design. Rifle bearings have a smooth interior, but have several grooves alongside their exterior to allow the lubricant to flow through in its place. 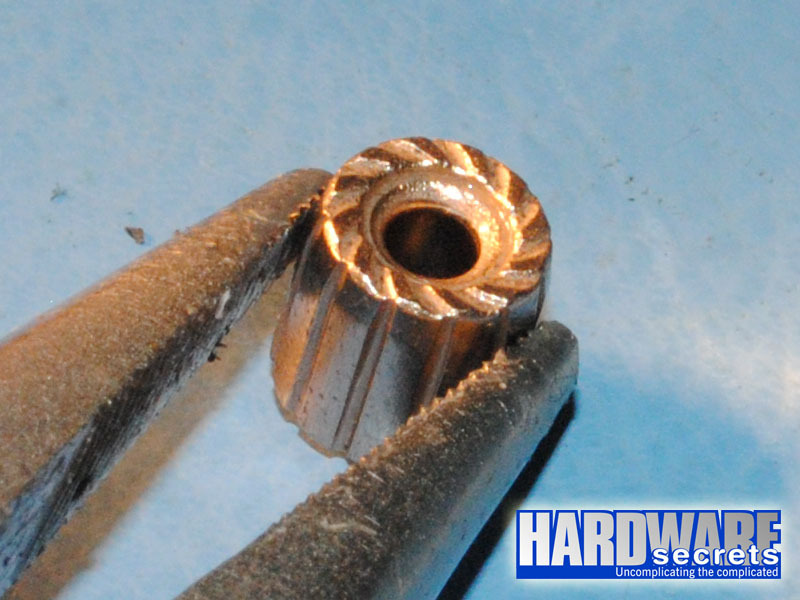 A rifle bearing, image courtesy HardwareSecrets. Ball Bearing: Ball bearings are bearings that use balls to maintain the separation between their moving parts instead of a simple tube. These have a longer lifespan than normal sleeve bearings, and are also more suitable for the “horizontal” fan orientation (since in sleeve bearings the lubricant will be pretty much locked in place if you don’t install the bearing vertically), but they are also more expensive and louder than normal sleeve bearings, at least at first. 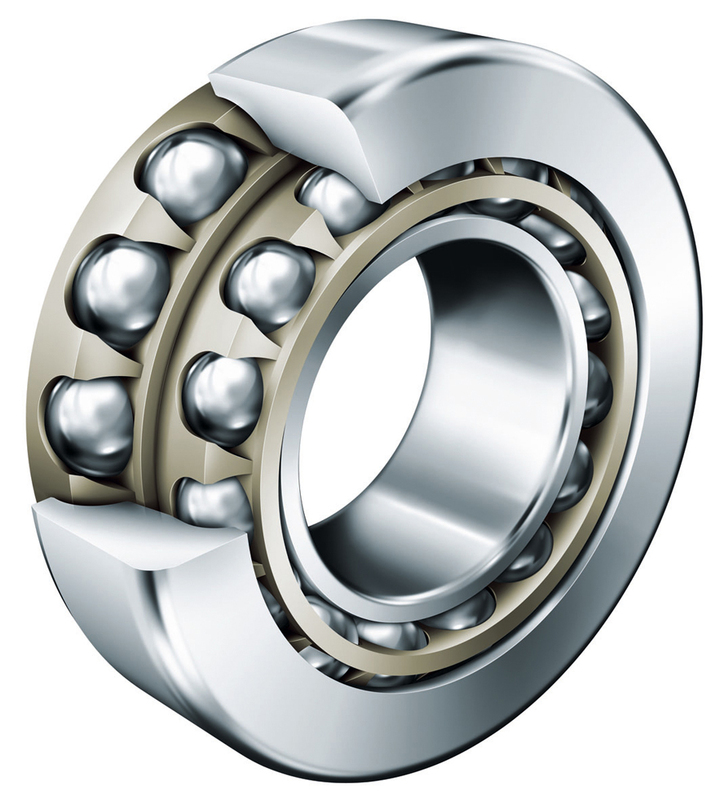 Single Ball Bearing: These bearings are the “normal” ball bearings, which have only one ring of balls. Double Ball Bearing: In contrast, these bearings have two rings of balls, leading to higher durability and performance, but also driving up its cost. 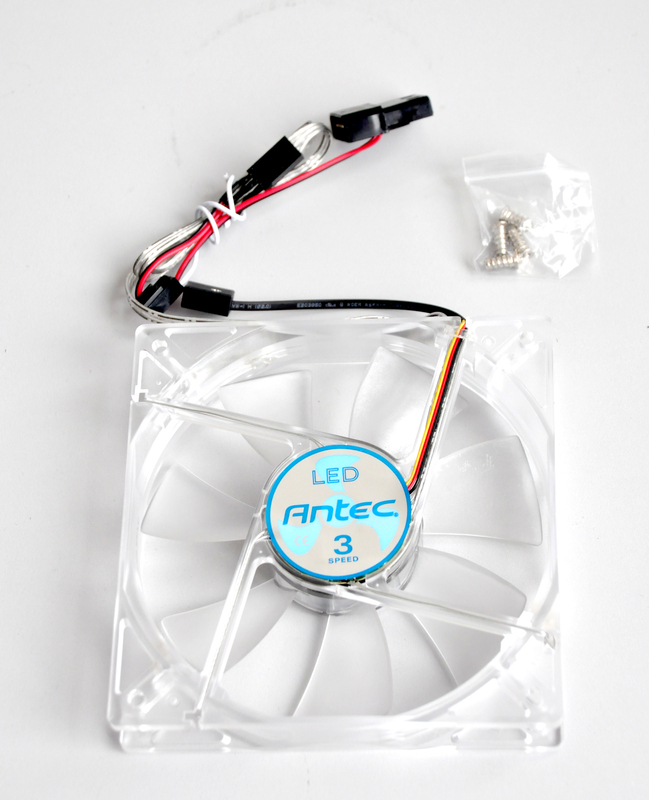 …This Antec TriCool (image courtesy hardwarezone.com.ph). Antec is not my favorite fans brand, but they do have some very good, if overly simplistic, fans, and the TriCool is one of them. There are also other, often brand-specific bearings developed by different corporations, but I won’t discuss them here. 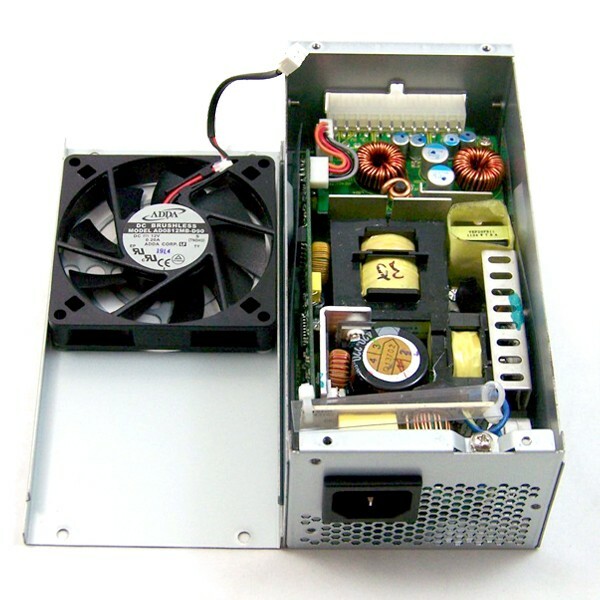 On another note, Hardware Secrets has also compiled a very intuitive guide about the anatomy of a computer fan as well as its bearing types, which you can read here if you want further information on this subject. PWM Controlling: Many fans nowadays support software speed controlling or even LED controlling through 3-pin PWM connectors, whether on the motherboard or on discrete fan controllers (like the NZXT GRID+ or the Lamptron CW611-B). LEDs: Self-explanatory. As with everything else in the world of PC building, fans need LEDs too. In fact, they are one of the parts that have the brightest and most numerous LEDs out there, perhaps behind only keyboards. 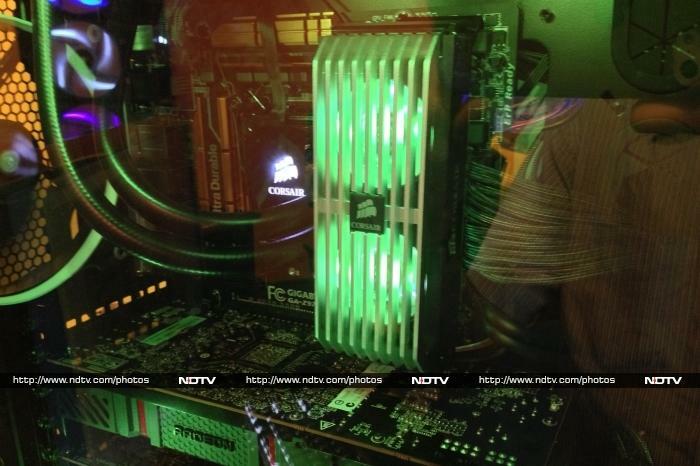 The Corsair Dominator Airflow Platinum RAM cooler (image courtesy NDTV), with PWM-controlled RGB LEDs that cost more than your 16GB Crucial kit. Yay? Phanteks is my personal favorite fans brand when it comes to high-performance fans. Their fans don’t have any shiny LEDs, but in their place, they have very elegant designs with high performance at an acceptable price (note: I said “acceptable”, not “cheap”). 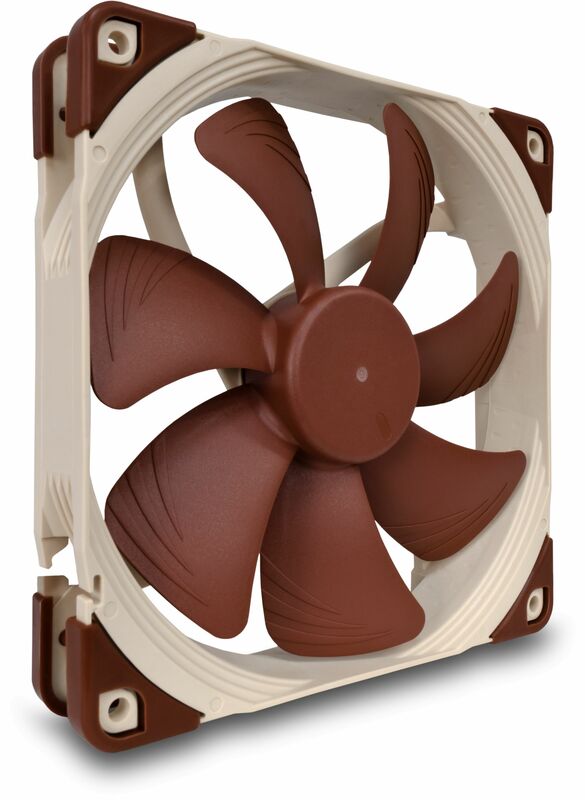 Noctua is the well-known “noble” fans brand. They are certainly not cheap, and most of them can look pretty boring to some gamers (Noctua’s signature color scheme is brown, and they also don’t use LEDs in their fans and coolers), but they are generally worth their prices in terms of performance. Cooler Master is a brand most gamers would go for, since they use modern, edgy, brightly-lit-with-LEDs designs in their fans, which are not top-class in the most part (unlike Noctua), but are also known to deliver very high value for their prices. Scythe isn’t as prominent as the aforementioned brands, but once these guys do something, they do it good. Their “Gentle Typhoon” model (originally manufactured by Nidec Servo, but later bought and improved by Scythe) is a legendary model for serious builders, on par with the Furious Vardar series of static pressure fans from E.K. (though this one is more of a watercooling brand). Be quiet! is a pretty popular brand that’s mainly known for its silent fans, true to its brand name. However, just because they are quiet doesn’t mean there are compromises in performance, so definitely look at them if you don’t want jet engines in your computer! Whew, that’s all for now! I’ll get to the more interesting parts of a cooling system later on, but for now, please just read this carefully if you are interested, ok? ^^ Again, thank you very much for reading and supporting, and good luck building your PCs!